Escherichia coli (E. coli) colonizes human intestinal tract and is usually harmless to the host. However, several strains of E. coli have acquired virulent genes and could cause enteric diseases, urinary tract and even brain infections. Shiga toxin producing Escherichia coli (STEC) is an enterohaemorrhagic E. coli (EHEC) which can result in bloody diarrhoea and could potentially lead to deadly heamolytic uremic syndrome (HUS). STEC is one of the important food borne pathogens that causes food poisoning leading to diarrhoea and number of STEC outbreaks have occurred across the world. The use of standard antibiotics to treat STEC infection is not recommended as it increases the production of shiga toxin which could lead to HUS. Therefore, use of alternative approaches which include use of plant products to treat STEC infections have been gaining attention. The objective of this study was to evaluate the antibacterial and anti-biofilm activity of garlic (Allium sativum) against STEC strains isolated from various patient and food samples using in vitro assays. 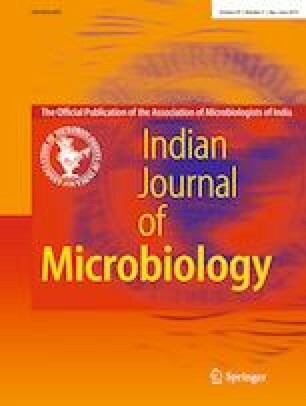 The microbiological isolation of STEC from various patient and food samples resulted in eight STEC isolates of which seven strains were multidrug resistant. Antibacterial assay results indicated that all the strains exhibited dose dependent sensitivity towards garlic with zone of inhibition diameters ranging from 7 to 24 mm with 15 µl of fresh garlic extract (FGE). Minimum inhibitory concentration (MIC) of FGE for isolates ranged from 30 to 140 µl/ml. Interestingly, the biofilm formation of all isolates in presence of 4% of FGE decreased by 35 to 59%. FTIR analysis indicated that treatment with 1% FGE results in compositional and content changes in the biofilm. In addition, the total carbohydrate content of biofilm was reduced by 40% upon 1% FGE treatment. The results of the present study report for the first time the antibacterial and anti-biofilm activity of garlic against STEC. The findings will enable development of novel garlic organosulfide based drugs for the prevention and treatment of STEC infections. The online version of this article ( https://doi.org/10.1007/s12088-019-00784-3) contains supplementary material, which is available to authorized users. This work was financially supported by UGC-BSR research startup Grant [F, 30-12/2014 (BSR)], Govt. of India, sanctioned to RA. We acknowledge the Department of Chemistry, Dr. Harisingh Gour Central University, Sagar (MP)-India for providing FTIR instrument. We also would like to thank Dr. Kalpataru Das, Department of Chemistry, Dr. Harisingh Gour Central University, Sagar (MP)-India for providing invaluable help with FTIR data. We extend our thanks to Dr. Ashwani Kumar, Department of Botany, Dr. Harisingh Gour Central University, Sagar (MP)-India for his invaluable help with statistical analysis. SBB thanks UGC-RGNF. No human or animal were used in the study.